Nowadays each and every blogger is very picky about the loading time of their blogs and that’s why this matter is becoming a topic of huge interest among the blogger communities. Now you want to incredibly delve on this matter as it largely contributes to the efficiency of your blog. So if and when your site needs a hell lot of time load a single page due to excessive images, there is a seriosu need to use some of the Image Optimization Plugins to enhance blog SEO as well as reduce load time. Attractive Pictures are the most engaging things that helps you to increase blog traffic from search engines as well keep the readers interested in your content. When your blog has a lot of engaging and high quality images, just by having those images you are destined to get more website traffic but somewhere down the point due to these large image files, your blog becomes a bit slow and takes time to load. But with pictures, you can easily engage your niche followers and audience and can easily get high amount of return visitors. Frankly speaking, you may in no way get rid of the usage of images out of your internet site as a result of the factors outlined above. 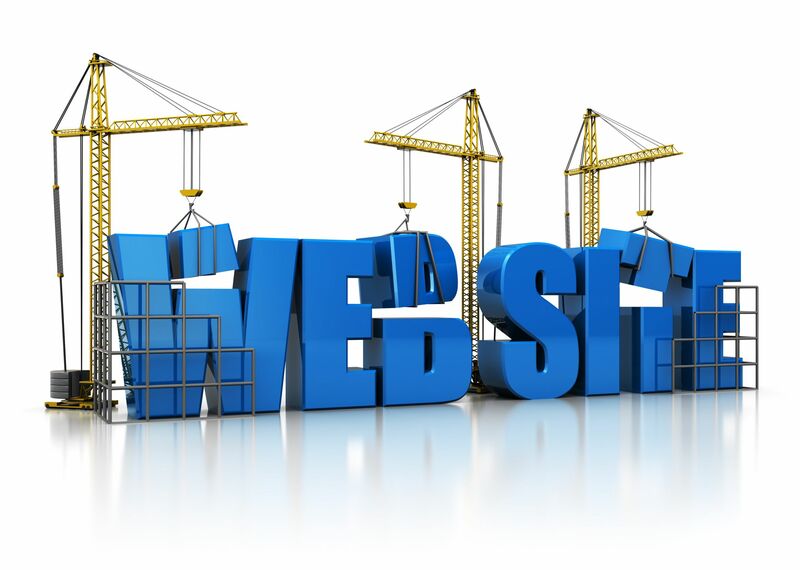 So you will definitely need to do something new where you may use pictures and which minimize load time of one’s web page. So i’ve compiled a list of no cost image optimization plugins for WordPress users. All WordPress blog customers and owners can use these image optimization plugins that will enable you to optimize your photos and speed up your web page. Why Image Optimization Plugins are Important for your blog? Image optimization is very essential as pictures play a significant role in blog’s performance and growth. Image optimization improves blog’s loading speed and hence won’t make your readers wait for long to read your content. Image optimization will give your images more exposure inside the most effective Image Search engines. Therefore, you can get much more targeted traffic. With the help of CW Image Optimizer, one can easily minimize the file sizes and get a strong hold on the performance of Image Optimization techniques. 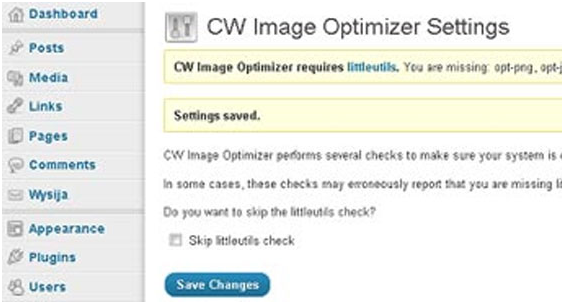 The CW Image Optimizer Plugin on its very own optimizes all kinds of pictures and images once you upload them for your blog. 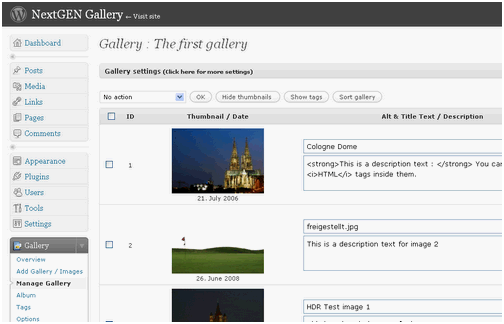 It also has the ability to optimize previous and old images on your blog. This plugin helps you with lossless image optimization methods. This means that after the optimization there will be no changes in the quality of the images. The only thing that will change will be the file size which helps you in drastically reducing the loading time. WP Smush.it is free of cost of plugin but is now being considered as the most important plugin required for lowering the space used up by images on your blog. The main technique behind this plugin is that the conversion of images from .gif format to .png format in addition to the removal of unwanted .jpeg files. This is a total hands-off image optimization plugin that runs behind the scene whenever you upload an image. So due this ability of working on its own, bloggers like to download this plugin for image optimization. Imsanity resizes uploaded photos if they’re larger than the configured size. The only possibilities you should configure will be the maximum size of uploaded images and jpeg image top quality. It works upon the uploading of pictures. Imsanity also gives a bulk-resize function which is usually utilized to resize photos that were uploaded prior to installing Imsanity. 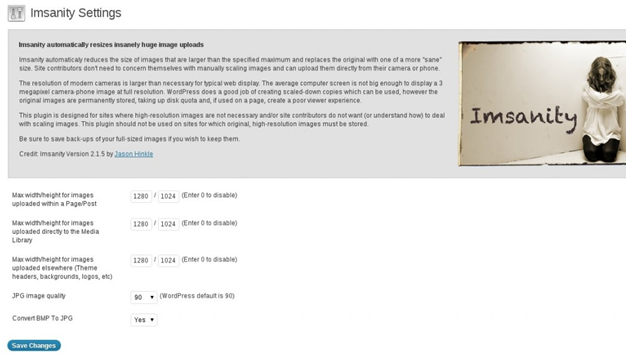 This plugin decreases the size of the pictures devoid of affecting image’s high quality. It really is easy to setup along with the author offers step-by-step installation directions on the plugin page. Also consists of a bulk optimize function. Have other WordPress plugins that may support you optimize your images for quicker loading occasions? Share them with us in the comments below. This entry was posted in Blogging and tagged Image Optimization Plugins, Seo on August 13, 2013 by admin.